We often get asked to make raised gardens (link) Wooden fence palings are our goto wood of choice. The problem with this is that they are H3.2 treated. H stands for hazardous (arsenic in this case) and that’s not something you would want in your veges. THe most common type of treatment is known as CCA (copper chromium arsenic). There is a great explanation of what the H ratings stand for here: http://www.nzwood.co.nz/learning-centre/treatments-wood-preservation/ Boron and copper are also heavily used. For an individual project we can resolve some of the issues. For example, in a raised vege garden you can line the garden with polythene or cardboard. Non treated wood is available (but not normally as fence palings), usually in the form of macrocarpa. 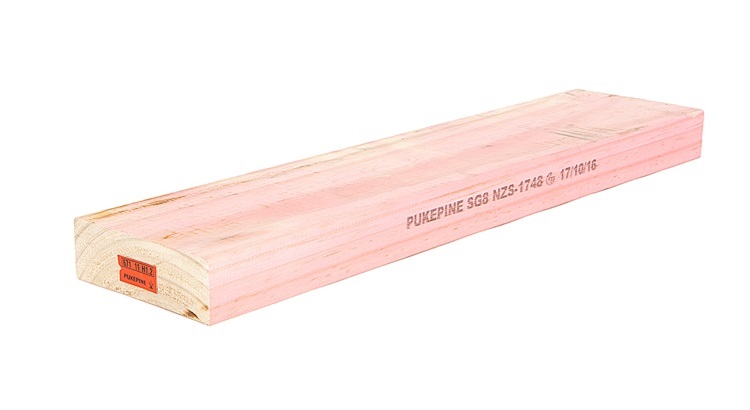 The costs for this wood are higher than treated pine. Another alternative is to use heat treated wood pallets and scavenge wood from there. Other alternative wood options include Western red cedar, redwood, cypress species heartwood (macrocarpa), beech and hardwoods (like Aussie Ironwood, akeake, Manuka) The problem with alternatives is they are more expensive, harder to work with and better suited for larger construction. Compost bins, worm farms, raised gardens, closhes and retaining work around food gardens are some of the times treated wood is used and its impact needs to be considered. Where food is involved the opinions are divided on how hazardous using treated wood is so you will need to make your own judgement call. No matter what you believe the one fact is that treatment will leach from the wood and into the surrounds. The best way to deal with that is to minimise, mitigate and monitor. What size is the garden? The longer the sides the greater the ground area to wood contact ratio will be. For example, If you have a 1m square garden then you will use 4 metres of wood to make the sides (four sides, each 1 metre long) This is a ratio of 4m of wood to 1cubic metre of ground or a 4:1 ratio. On the other hand if you have a garden 4m square (4 sides each 2m long) then you have 8m of wood to 4 cubic metres of ground or a 2:1 ratio. In effect you have about half the potential contamination level in the larger garden. What’s worth remembering is that the closer a plant is to the edge of the garden, the more contamination it may pick up. Wood treatment will leak into the garden from the edges and slowly move inwards. It will always be more concentrated at the edges. Type of plant. Tubers like potatoes are not only in the ground but are also the place the plant stores up nutrients. Contaminants are also stored where nutrients are stored. If you are making a worm bin you can guarantee it will always be moist and the ground will be turned over. This allows leaching to happen more effectively than say in a dryer garden where soils stays put most of the time. Compost and worm bins. If you make these out of treated wood, any contamination will be transferred with the compost when you dig it into your garden. H treated wood isn’t the only problematic wood. There are other unexpected dangers out there. Rimu: Rimu dust is carcinogenic. All sawdust is bad for the lungs but Rimu, a common NZ wood is especially noted as being carcinogenic when inhaled. Cancer aside lungs were not made for sawdust. Protect them. Pellet Wood: Pellets come in two major types, heat treated and chemically treated. Chemically treated pellets contain strong any fungal / anti insect chemicals that are potentially toxic. If you are using pellets try to find ones with an HT heat treated symbol on them. Leaching into the ground is only one of the issues with working treated wood. Before it even gets a chance to leach it will have been carried, stored, sawn and hammered. Every time you touch treated wood you are exposing yourself. Sawing, sanding and planing are even worse as they created dust aerosolising the wood (and its contaminants) exposing you to the risk of inhaling contaminants. Sawdust is also an easy way to build up contamination as it mixes into the dirt carrying a toxic load far greater than just leeching. As always being aware of the potential risk is a great first step but then practising the 3Ms (minimise, mitigate, monitor) is essential. If you don’t have to saw, plane or sand something – don’t. Plan your cuts and keep sanding to a minimum. If you can use an alternative – use it. Planing is better than sanding. Thinner blades make less dust. Is there an alternative wood you can use? Catch it – drop cloths, tarpaulins or a hard surface will allow you to catch the dust and stop it going into the ground. Contain it – Dust bags or a a contained area help but also remember not to let wind, clothes or foot wear spread the dust all over the place. Monitoring can be as simple as looking up from what you are working on and checking what is happening. If dust is spreading clean it up early, if people aren’t wearing the correct equipment then get them to. It’s easy to switch off when working on a job – take time to stop and check what is happening. If you use an area regularly then it might be worth seeing if there is build up. A soil kit or simple visual inspection are both valid checks. When power-sawing/sanding/machining any timber wear goggles to protect eyes from flying particles and a mask to avoid dust inhalation. If sawdust accumulates on clothes, launder before re-use. Wash work clothes separately from other household clothing. After working with CCA treated wood wash hands before eating, drinking, smoking or otherwise placing your hands near your mouth or rubbing your eyes. CCA treated offcuts and sawdust should not be burnt nor used in barbecues. Disposal to a designated landfill is appropriate. Ensure that any dust and residue on the surface of the wood is washed off prior to use. CCA treated wood should not be used where it may come into direct or indirect contact with public drinking water except for uses involving incidental contact such as fresh water docks and bridges. CCA treated wood should not be used in the manufacture of toys for young children or for use as cutting boards, counter tops, food bins or similar applications involving contact with food. Do not use CCA treated wood shavings for animal litter or mulch. CCA and Boron treatments are designed to not leach. They bond strongly with the wood and research shows little leaching occuring. However as soon as you put it near water it leaches more easily. If you turn it into dust then it can be inhaled, ingested (dust on hands or clothes) or mixed into soil contaminating the area. Always take care of yourself using treated wood. At the end of the day it is toxic. The less we use the better.